"Garrie Davislim sang agile and vocally beautiful duke, who scores above all with his exemplary Legato." Garrie davislim, who lately knew huge successes at the Münster Theatre as DON CARLO and EDWIN in 'Die Czardasfürstin', sings in the season 2018/19 at this very theatre PINKERTON in 'Madama Butterfly' and the PRINCE in 'The Love For The Three Oranges'. At the Dresden State Operetta he portrays ROSILLON in 'Die lustige Witwe'. In summer 2018 he was ASTROMONTE in concert performances of 'Der Stein der Weisen' and succeeded as LYONAL in Flotow's 'Martha' at the Innsbruck Municipal Theatre. In the season 2017/18 Garrie Davislim makes his debut at the Münster Theatre in the title part of DON CARLO and as EDWIN 'Die Csardasfürstin'. At the Innsbruck Municipal Theatre he is ASTROMONTE in concertant performances of 'Der Stein der Weisen' and LYONAL in Flotow's 'Martha'. Before, he enjoyed great success with his role interpretation of RICCARDO in Verdi's 'Un ballo in maschera' at the Rostock Popular Theatre, where he was already seen as DON OTTAVIO and as CONDULMIERO in Rossini's 'Maometto Secondo' under the musical direction of Maestro David Parry. He had guest performances at the Vienna Popular Opera as CARAMELLO in Strauß' 'Eine Nacht in Venedig' and as PANG in 'Turandot'. In summer 2016 he was STEFAN KOLTAY in 'Victoria und ihr Husar' at the Mörbisch Lake Festival . 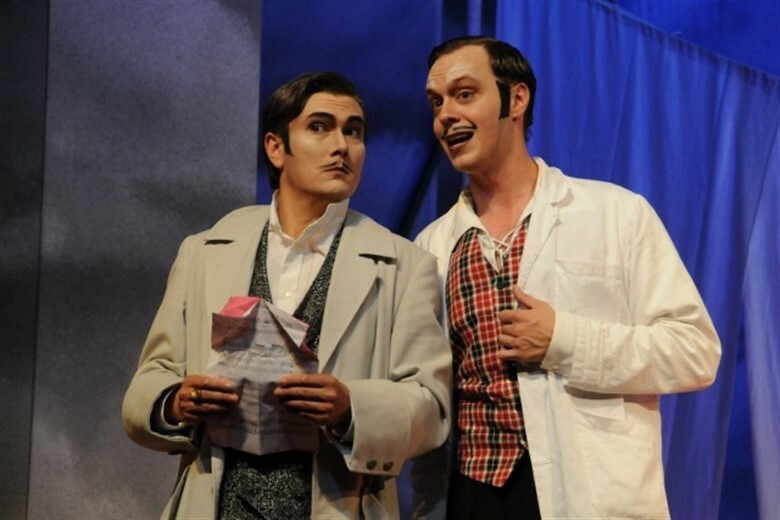 Further guest performances brought the good-looking tenor to the Teatro alla Scala di Milano, the Royal Opera House Covent Garden, the Weimar National Theatre, the Dresden State Operetta and to the Kassel State Theatre. His large repertoire includes parts such as PINKERTON (Madama Butterfly), IL DUCA (Rigoletto), ALFREDO (La Traviata), RODOLFO (La bohème), TAMINO (Die Zauberflöte), FERRANDO (Cosi fan tutte), ERNESTO (Don Pasquale), FENTON (Falstaff), PANG (Turandot), ACIS (Acis and Galatea) and STEERSMAN (Der Fliegender Holländer).In the upcoming season he has guest performances in the title role of Mozart's 'La Clemenza di TITO'. Der Australian-Irish tenor studied in Melbourne at the Victorian College of the Arts and at the renowned National Opera Studio („Opera Foundation Australia Covent Garden National Opera Studio Award“ 1998) in London. As winner of the "Italian Opera Award“ of the Opera Foundation Australia (2000) he was able to complete his studies in Rome and Florence. He studied voice with Franco Pagliazzi, (Florence), Robert Dean (London), K.S. Hilde Rössl- Majdan (Vienna) and Prof. Gudrun Fischer (Weimar). Garrie Davislim works with well-known producers such as Jasmin Solfaghari, Jan Richard Kehl, Alexander Schulin, John Copley and Philippe Arlaud. Apart from his convincing vocal and dramatic stage operations, Garrie Davislim is also very much in demand as a concert singer in Europe and Australia. He sang in concert and opera productions under the musical direction of famous conductors such as Alfred Eschwé, Guido Mancusi, Marcus Bosch, Christopher Hogwood, Thomas Hengelbrock, Niklas Willén, Dorian Wilson, Peter Kennel and David Parry. Furthermore, the tenor successfully performed with the WDR Radio Orchestra Cologne, the Northern German Philharmonic Orchestra Rostock, the Radiophilharmonic Orchestra Saarbrucken, the Berlin Concert Choir and Orchestra, the Munich and Frankfurt Symphony Orchestra, the Orchestra of Europe, the Australian Chamber Orchestra and the Victoria State Orchestra. "Not only played Garrie Davislim the role of the Prince with enthusiasm, he also succeeded in showing the extent of his tenoral abilities: whiny as sick man ( also when he only used his whiling voice alone), precise in the long bursts of laughter with Prokoviev’s terce main motif from Beethoven’s Fifth Symphony. Finally, he brilliantly caricatured the helden tenoral outbursts in the love duet with Ninetta." 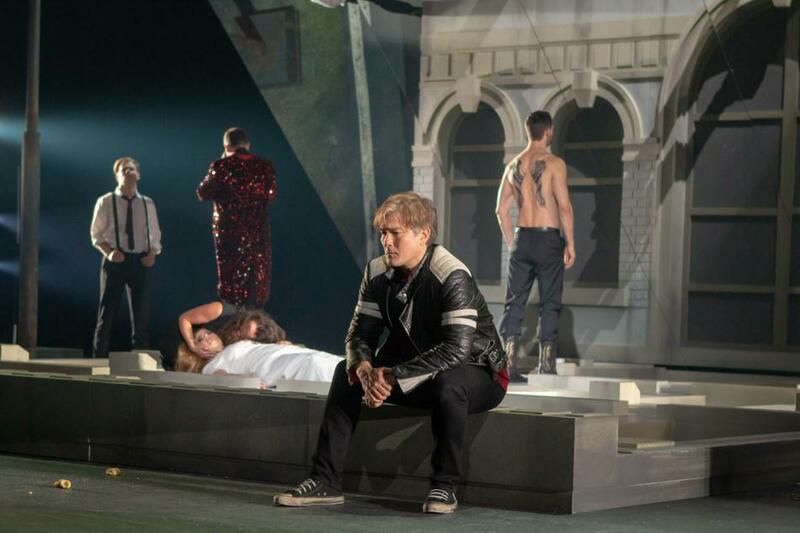 "Tenor Garrie Davislim in the role of Sam Kaplan, who’s in love with Rose, apologized for being indisposed. However, one could hardly tell he was – Maybe he succeeds in singing the style mixture even better in full strength. " " Tenor Garrie Davislim (Pinkerton) succeeds in keeping up with Isene’s vocal power. Together they celebrate the duet „Vogliatemi bene, un bene piccolino“. " 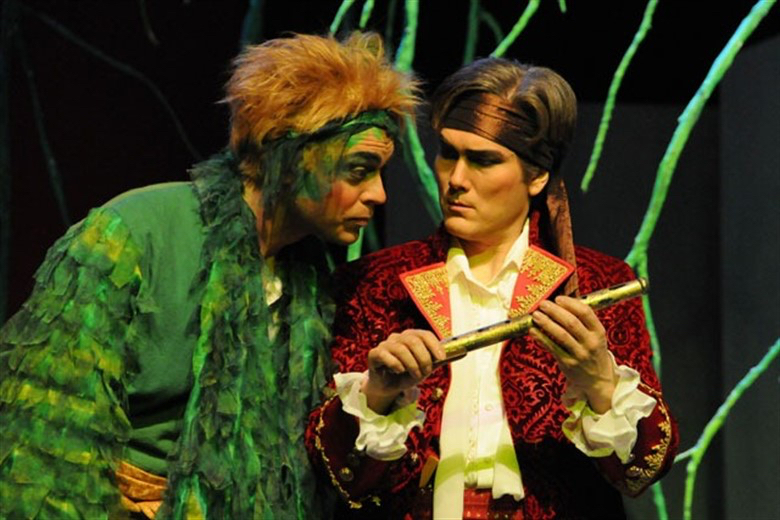 " The well-balanced singer ensemble of the Innsbruck Theatre brought an excellent performance. With lyrical voice and an imposing “divine* appearance, the Australian lyrical tenor Garrie Davislim sang the protective god Astromonte. " " In the title role the brilliant Garrie Davislim with his light timbred tenor voice,which is strong even in the peaks but also capable to sing a restrained "
"In this four- acts version of the opera, the title hero sees himself confronted with a lot of singing, but not the most effective songs ( these are sung by the lower voices): the new tenor oft he house, Garrie Davislim makes a virtue of necessity and variationally sings with his homogeneously trained voice without showing off. " "Garrie Davislim sings Don Carlo with a powerful tenor voice "
"Garrie Davislim, whose particular favourite is an emotive, cantabile line portrayed the daring love-addict Riccardowith high tenoral competitiveness. " "On the other hand the stars of the Rostock ensemble e.g. Garrie Davislim as the bon vivant Riccardo had no trouble at all to set some musical highlights. 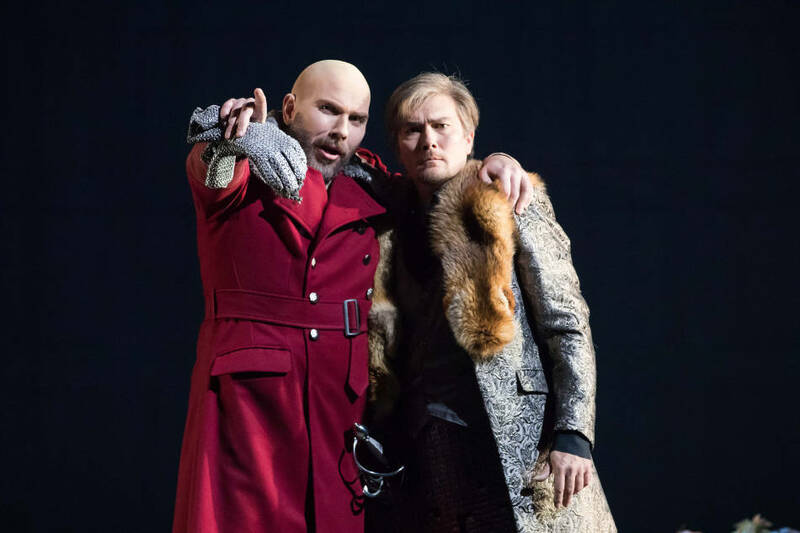 He succeeded with tenoal "
"The opera was sung within the limits of the expected and beyond, (...) two tenors Thomas Paul as Duke and Garrie Davislim as Caramello presented cponsiderable performances. " "The best ministers were aso role newcomers (...) and Garrie Davislim as Pang. (...) All three of them were simply fantastic. Their singing was perfectly harmonious and they splendidly followed the dramaturgical instructions. These mere 3 gentlemen were worth visiting the performance." "As Rodolfo, impressive at the Premiere performance, Garrie Davislim, with an engaging and intelligently crafted interpretation... succeeded Davislim with intensive creative power an enthralling analysis of the part, always malleable with the articulation and with secure and flawless high-notes." 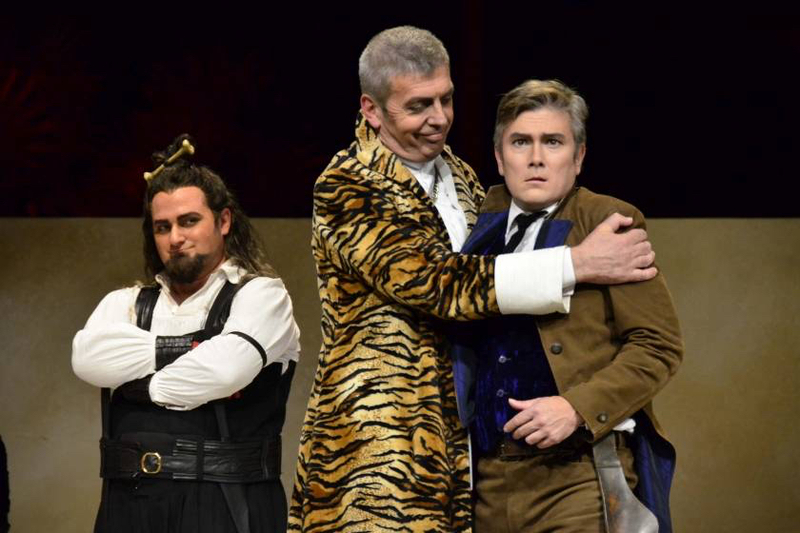 "Garrie Davislim as Almaviva, is precise and secure in all details of his coluratura."